Stamford, Connecticut, U.S.A. - Father LU Genjun 鹿根君, 42 years old, and Father CHENG Xiaoli 程曉隸, 40 years old, both underground Roman Catholic priests, were arrested on May 14, 2004 in An Guo 安國, Hebei by Chinese government security policemen just before the two priests were to start classes for natural family planning and moral theology courses 倫理神學. Father LU belongs to the underground Roman Catholic Diocese of Baoding 保定, Hebei 河北. He was previously arrested on Palm Sunday, April 5, 1998 for a short period and was arrested again shortly before Easter in 2001 and detained for three years in the Gao Yang County 高陽縣labor camp in Hebei. He was just recently released from the labor camp and arrested again. He was ordained in 1990. He is now detained in the police detention center of Dingzhou 定州, Hebei. 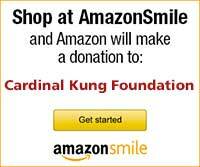 Father CHENG Xiaoli belongs to the underground Roman Catholic Diocese of An Guo, Hebei. This diocese has been without a bishop since the death of its bishop, LIU Difeng 劉隸芬, in the Chinese jail in Cheng De 承德, Hebei in 1992. 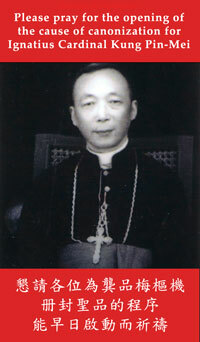 Father Cheng was ordained in 1991. We do not know where he is being detained at present. Joseph Kung, the president of the Cardinal Kung Foundation, said: "Within one month between March and April 2004, two bishops, Bishop WEI Jingyi 魏景義 of Qiqihar 齊齊哈爾, Heilongjiang 黑龍江 and Bishop JIA Zhiguo 賈志國of Zheng Ding 正定, Hebei, were arrested, although both were released after a short time. In recent years, the Holy Sees has on numerous occasions shown its earnest desire to continue dialogue with the Chinese government. During the past 2 months, the spokesperson of the Pope expressed serious concern about the arrest of these two underground bishops. It is disappointing to see China again arrested these two underground priests within such a short time. The arrest of Father LU and Father CHENG is yet another in a litany of examples of the ongoing religious persecution in China. This proves that religious persecution is not something of the past even with the current booming Chinese economy."